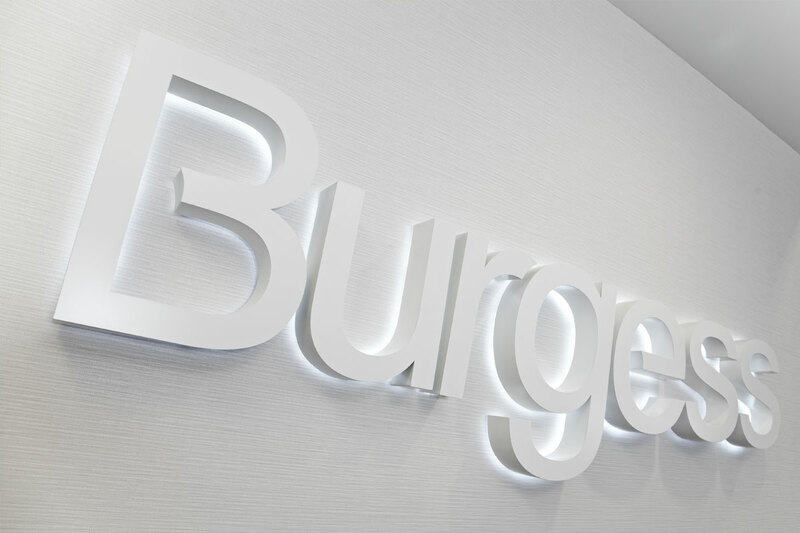 Signage was designed to reflect new corporate branding and to serve as a confident introduction reflective of the company’s commitment to creativity. 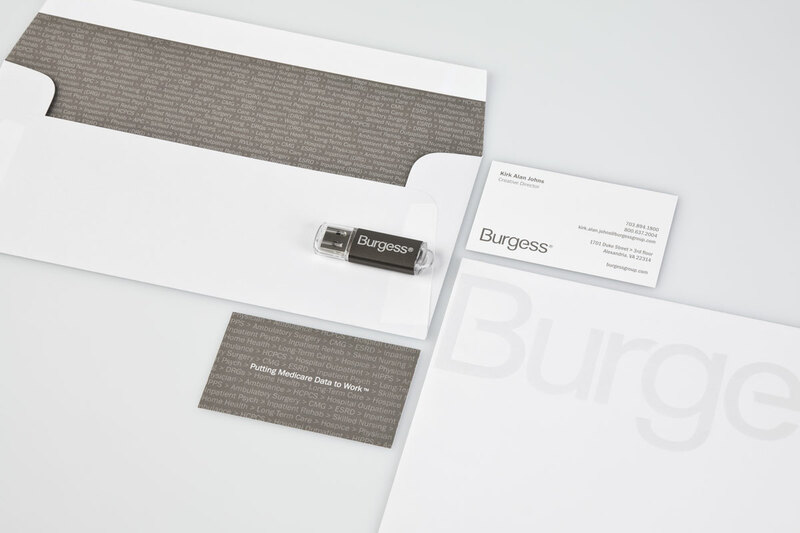 An oversized logo paired with a tone on tone effect kept the overall feel architecturally bold as well as sophisticated. The name of the company was shortened for easier recognition. 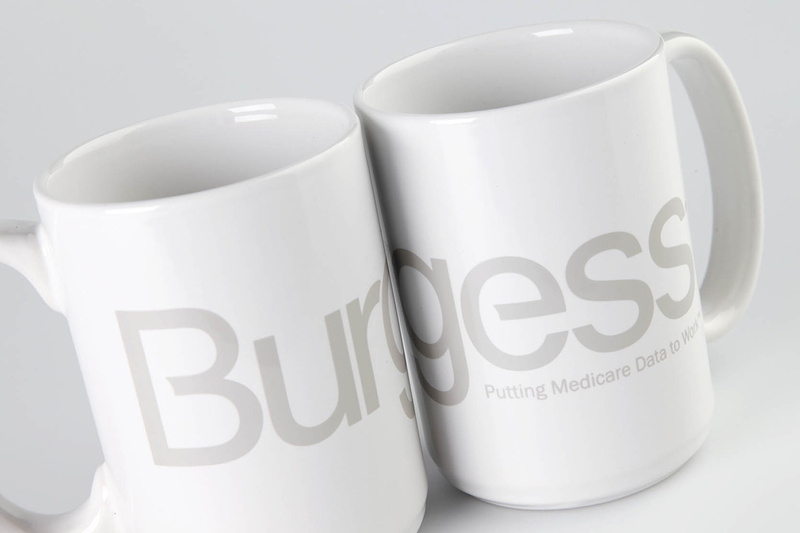 A strapline was added to communicate our area of expertise as well as a Medicare data texture to illustrate and reinforce that message. The rebranding helped contribute to a 600% revenue increase in 3 years. The data texture was created with consideration for environmental use as well as print and electronic applications. 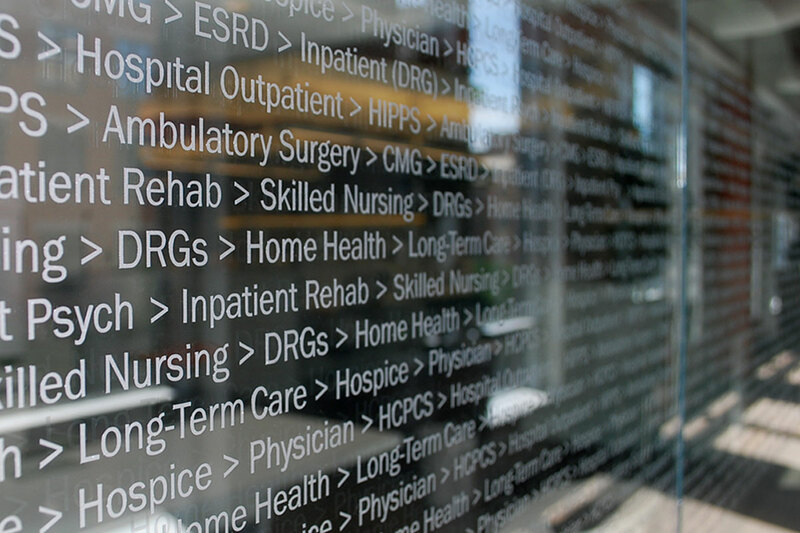 It was used on large areas of glass that run throughout the work space to both illustrate our main business focus and protect people from walking into the glass. This project started with a comprehensive list of what people wished they had known when they started work. 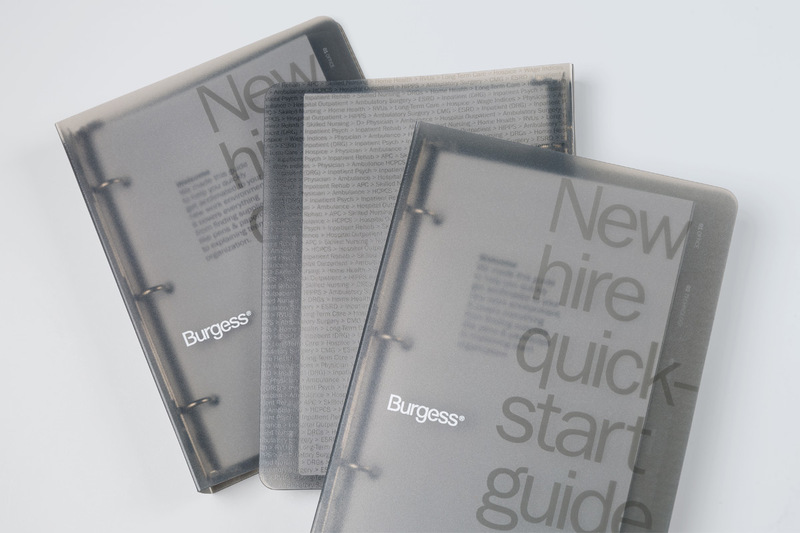 The end result was an easy-to-use “New hire quickstart guide” to help people get acclimated as quickly as possible to their new environment. A logo ends up being placed on everything, and every item should receive the same amount of care and thoughtfulness. To me, a pen or a coffee cup deserves just as much consideration as a brochure or website. Everything deserves a chance to shine.